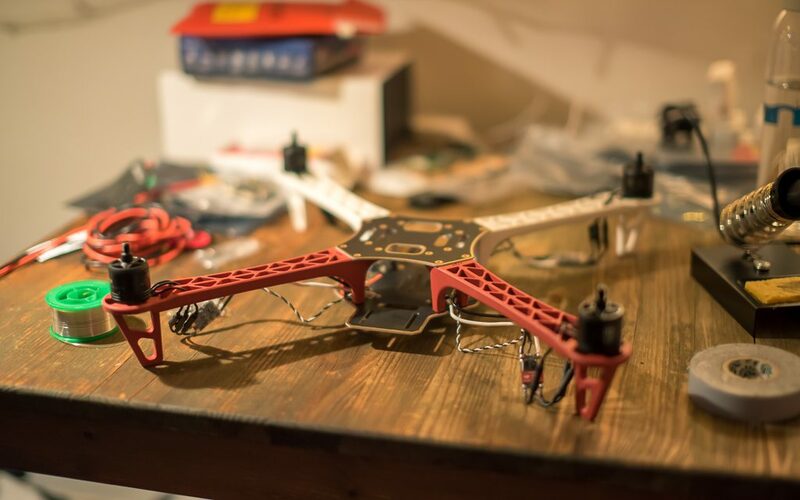 I’m building an autonomous drone which will be controlled via a Raspberry Pi, with the aim that the drone will provide a WiFi access point to those on the ground and it will adjust its position to give the best connection. This will bring lots of interesting challenges – like the mobility prediction of guessing where the user will move to next, or working out the signal level of the connected device from the Pi so the drone can be best positioned. The kit was fairly easy to construct and only had a few fiddly bits, with a bit of soldering. I went for a kit as the focus of this project is not so much about the engineering side, more the programming. Still left to add is the Pi, which will mostly likely go on top to provide a pretty good wireless signal, then a Multiwii flight controller, then a little power management and the battery at the bottom. Other additions may include some proximity sensors and maybe a GoPro to capture the flights. The hardest part so far has just be finding the time to work on it and writing the large final year report to go with it, but drones are pretty fun and the project has good potential.